We are fully licensed. No BYO. 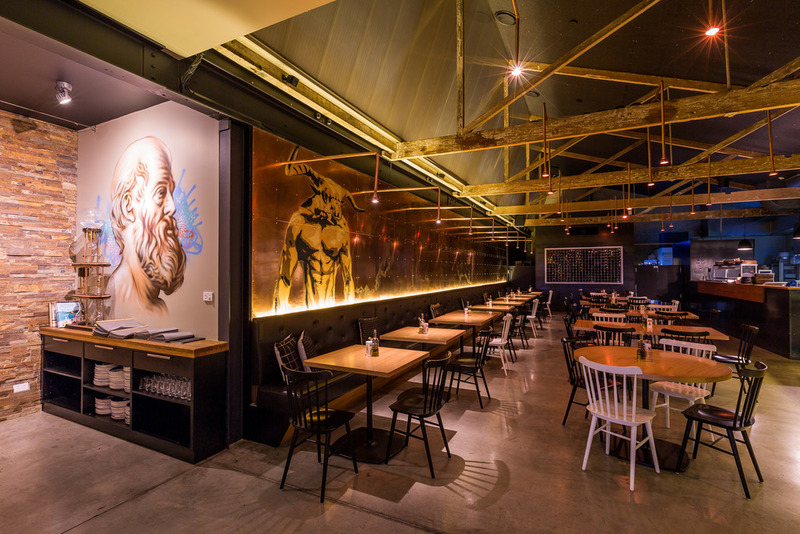 Hobart's own Greek restaurant, with great hospitality and exceptional Greek food. After living for more than 20 years in the idyllic and culture rich island of Crete, we decided to return to Hobart and with us, we bought countless experiences, memories and recipes to share. Food in Crete (and Greece in general) is a social and sharing experience, where dishes made with love and care, create the centre around which friends and family gather. Everything is made with the finest ingredients, following ancient old family recipes passed on form generation to generation. And that is the concept of Urban Greek: Traditional, family recipes, using only the best in local and Greek produce, which aim to offer an authentic Cretan dining experience, in a relaxed and comfortable setting. From our signature char-grilled octopus to our homemade pastries and sweets, the delicacies of Greece are now available in Hobart for everyone to enjoy. It’s always great to share - Have a feast the Greek way, plenty of smaller dishes to go around. Grilled Greek kefalotiri cheese with herbs & lemon, a side of homemade jam - a perfect combination of savoury & sweet. Fresh, charcoal grilled Tasmanian salmon served with sautéed vegetables and drizzled with a passion fruit, Cretan extra virgin olive oil and fresh lemon sauce. Charcoal grilled Tasmanian lamb cutlets, marinated with extra virgin olive oil & spices. Served with a side of tzatziki, a small greek salad & your choice of lemon roast potatoes or chips. Call (03) 6109 4712 or book online. To make a booking, scroll to the top of the page and click on reservations, for function enquiries or for any other matter, please use the form below. Eat our food in the Greek way, lots of conversation over a series of shared plates in the middle of the table. Perfect for all occasions and suitable for almost all dietary requirements. if you or any person in your group has a dietary requirement, drop us a line at info@urbangreekghobart.com or phone us at 0361094712.
please note: for groups of 8 or more, banquets apply. one banquet choice per table.